ReThink Mathematics provides schools with a bank of classroom-based assessments designed to help teachers detect any “math-gaps” in students’ K-8 progression in mathematics. 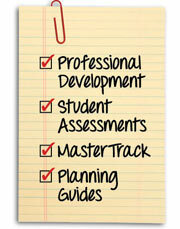 Our assessments are used to assess key grade level content standards as well as critical previously-taught standards. These assessments act as a vital first step intervention tool to ensure students have the basic foundational skills to be successful in mathematics. 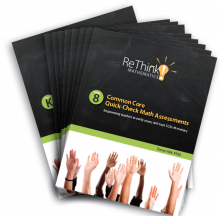 ReThink Mathematics provides teachers with a bank of “quick-check checkpoint” assessments, desiged to help teachers implement daily assessments into their classroom routines. Teachers love how easy, simple, and effective the checkpoints are in supporting differentiation strategies in the classroom through the efficient collection of data from administering them! 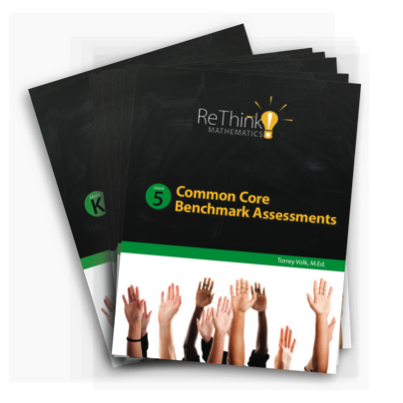 ReThink Mathematics also provides grade level interim benchmark assessments teachers and schools can administer at the beginning, middle, and end of the school year to chart student growth and progress in mathematics. "Great conference! So glad I attended!"